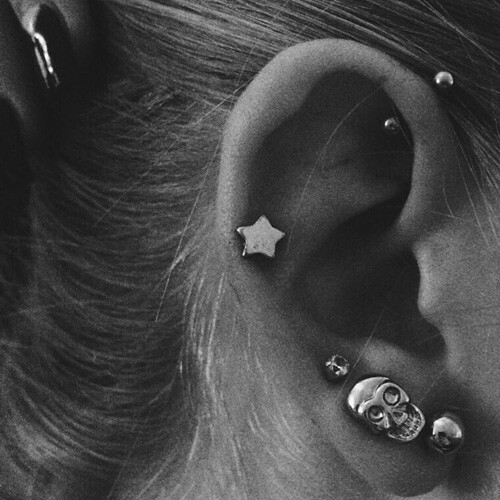 Maddi Bragg wore in her right eat 5 piercings: three ornate studs in her ear lobe, one star stud in her cartilage and a bar barbell in her forward helix cartilage hole. 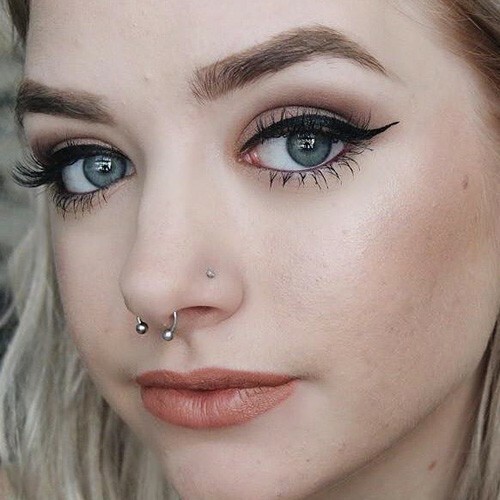 Maddi Bragg uses to wear a circular barbell piercing in her septum and a small piercing in her nostril hole on the left part of her nose. 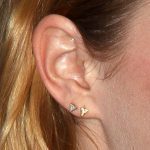 Maddi Bragg wore four piercings: an elephant, a cross and a 3 millimeters cubic zirconium jewelry white gold stud earring in her left ear lobe and a turquoise stud piercing in her cartilage. 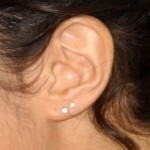 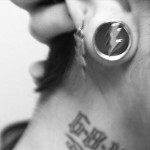 Maddi Bragg wore two metallic small earrings in her left ear lobe and one circular ring piercing in cartilage hole. 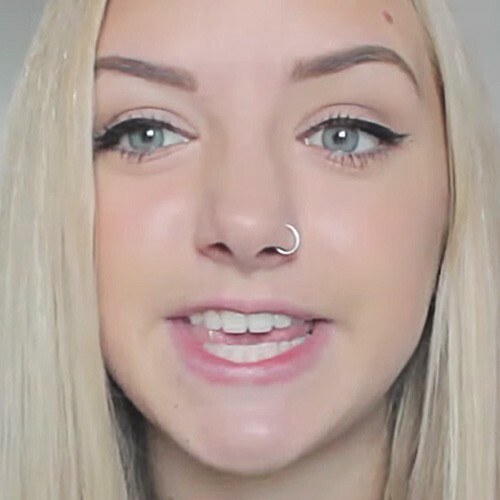 In her video “All About My Piercings 2014 | Maddi Bragg” she explains that she got her first lobe piercings at age 8 and the second ear lobe piercings holes around 13 years old. 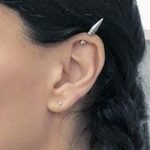 The cartilage piercing hole was the third one she got and she spoke about the level of pain which was highly bigger than the other ones.